In May, we will be learning about life cycles as we watch caterpillars grow into butterflies, and tadpoles into frogs! We will get dirty as we get into the dirt, learning about insects. We will write and draw in our journals as we record the growth of the butterflies. We will continue working on our social skills and problem solving as kindergarten approaches. April brought some “fun” weather. As it rained, we watched our plants and flowers grow. We observed and wrote about it in our journals. We practiced writing our full names in lowercase letters, and practiced tying our shoes! It’s already May! May is our spring month, as we learn everything spring. Spring animals, flowers, weather, and Mom’s! We are working on a secret Mother’s Day gift and card. We will be learning about life cycles as we watch caterpillars grow into butterflies, and tadpoles into frogs! We will get dirty as we get into the dirt, learning about insects. We will write and draw in our journals as we record the growth of the butterflies. 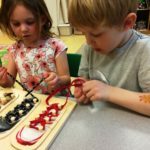 We will continue working on our social skills and problem solving as kindergarten approaches, as well as shoe-tying and becoming more self-sufficient. Kaleb turned 5 in April, and Colin is turning 5 in May! Happy Birthday, friends! 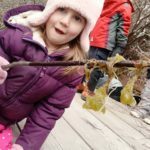 In April we learned about Spring, the Weather, and we Celebrated Earth Day. We will celebrate Earth Day by reusing materials in our classroom and talking about different ways to save the Earth. We have been working very hard on sorting, recognizing numbers and letters, and counting. 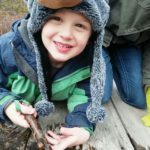 In May, we will learn about flowers and insects. We will spend a lot of time outside looking for different bugs as well as flowers. 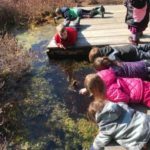 Our class will continue to explore the bog for tadpoles, so we can see the process of them turning into frogs. 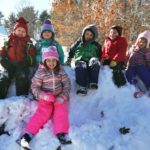 The preschoolers had so much fun enjoying spring weather AND playing in the deep snow in March! We made our own books, sounding out all the letters in each word. After doing some fun Easter art and math with eggs and jellybeans, April will be all about fairy tales and recycling for earth day! We will read fractured funny fairy tales and create STEM challenges. We will create houses made of different material after reading The Three Little Pigs. We will dig deep into literacy and talk about the different parts of a story. We will continue to work on our lowercase letters in preparation for kindergarten! In March, we learned about the life cycles of butterflies. We had fun playing in sensory bins and painting with our hands and feet! 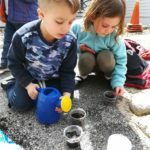 In April, we will learn about spring and gardening – We will grow vegetables. We will learn about the parts of a flower and what vegetables and flowers need to grow. We will try different vegetables and see which ones we like best! We will get dirty playing in soil! We will even enjoy yoga garden poses! 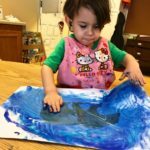 In March, we learned all about the Ocean. 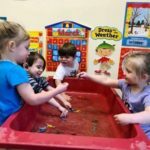 We played with ocean figures in the water table. We practiced cutting by making Jellyfish. We have been working very hard on recognizing colors and letters. We had so much fun searching for the Leprechaun and eating the treat he left for us. Gabriel turned 3 this month, Happy Birthday! Coming up in April, our class will celebrate Easter. We will have an egg hunt and decorate our own Easter eggs. We will learn about Spring, the weather, and Earth Day. We will talk about recycling and practice reusing materials. Our class will continue to practice recognizing letters and numbers. Thomas will be turning 3 this month, Happy Birthday! Miss Becca’s 4 and 5 year olds enjoyed counting and making patterns with candy hearts. We loved baking (and eating) cupcakes. We have been working super hard on our lowercase letters. We welcomed back an old friend to our class: Nathan. We had fun with Blockbuster Week, where we read and enjoyed activities about our favorite movies. 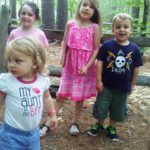 We played and learned outside as much as possible. We started a “bucket-filler” where we add a cotton ball to the jar each time we do something kind. When the jar is full, we will have a party to celebrate all of our kindness! In March, we will build leprechaun traps. We will see whose trap catches a leprechaun! We will read about pirates and create our own treasure maps. We will follow the map into the woods and search for treasure! The kids will choose their own topic to write a class book on. Happy 2nd Birthday, Seth! Miss Brittany’s kids have been reading about kindness and family. They have been having fun creating process art and learning their shapes and colors. 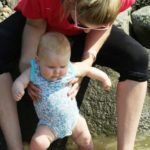 They are also working on potty-training and becoming more independent. In March, Miss Brittany’s friends will be starting to read about spring, rainbows, and butterflies. 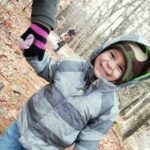 They will take nature walks to observe the end of winter and the beginning of spring. Happy 3rd Birthday, Summer! 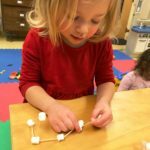 Miss Gabby’s 2 and 3 year olds have been working on gross motor skills, such as pedaling and yoga, as well as fine pre-writing motor skills, such as working with play-doh and drawing. They made shapes out of play-doh and tooth picks. 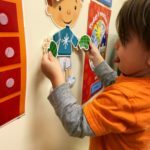 They have been talking and reading about feelings, and working on controlling and appropriately expressing their emotions. In March, Miss Gabby’s friends will work together to make a leprechaun trap. They will read about the ocean and the animals in it. 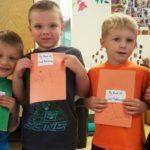 In January, the preschoolers started working on writing their lowercase letters, in order to get ready for Kindergarten! We wrote in our journals, and played in the snow. 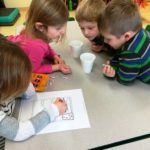 We did science experiments, including one where we hypothesized which candy cane would melt faster – the one in cold water, or the one in warm water. In February, we will learn about space while practicing those tricky upper and lowercase S’s. We will read and talk about friendships during Valentine’s Day. We will have so much fun during Disney Week while we read stories and do activities about Moana, Trolls, The Lion King, and Frozen. We will begin practicing our graduation songs. Miss Brittany’s toddlers learned about bears and hibernating in January. They worked on their fine motor pre-writing skills, and continued to have fun using math manipulatives. 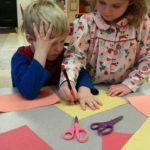 The toddlers will learn about kindness and enjoy heart-shaped activities in February. They will also learn about what it means to be a good big brother. 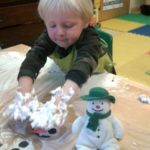 In January, Miss Gabby’s toddlers talked about snow/ice as well as many different winter animals. We learned about bears hibernating during the winter. Our letters of the week were T and B. 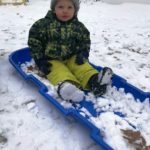 Although it was very cold this month, we were still able to get outside and play in the snow. We also went for a walk to the library for story time. letters in our names. At the end of the month, Summer will turn three. Happy early birthday, Summer! Miss Becca’s class made magical elves. 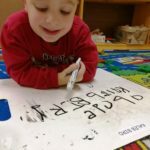 They have been working on their letters. 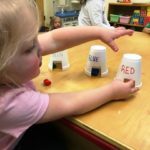 They are getting so fast at recognizing their letters!! They had fun painting ornaments. In January, they will be reading about penguins, dinosaurs, winter, and different forms of transportation. 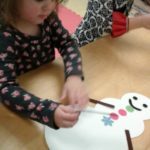 After writing their New Year’s resolutions, the kids will learn about how penguins stay warm, conduct excavations, and paint winter storms. Congratulations to Kaleb for reaching 400 books read! Miss Gabby’s class made ornaments for their Christmas trees. 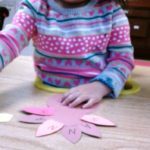 They have been working on letter and number recognition as well as counting. The toddlers have been working on writing the first letter of their name through sensory writing trays. 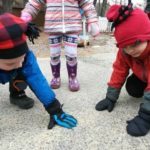 In January, they will learn about winter animals, and explore the snow/ice. Congratulations to Gabriel for reaching 300 books read! Miss Gabby’s class welcomed a new student, Bella this month! Miss Brittany’s class welcomed a new student named Angelease. They have been working hard on counting and recognizing numbers to 11, and recognizing the letters in their names. 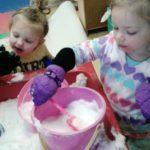 They have had so much fun with sensory play! 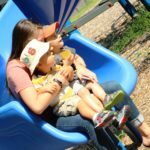 All of Miss Brittany’s toddlers are expecting a little brother or sister this spring, so they will be focusing on what it means to be a big brother! Congratulations to Seth for reaching 500 books read! Congratulations to Jameson, Rayna, Thomas, Summer, River, and Noviah for reaching 100 books read! Congratulations to Drew, Gabriel, and Seth for reaching 200, and Kaleb and Colin for reaching 300! In November, we focused on patterns and counting. We visited different habitats, including the forest, desert, and rainforest through our books. We loved our field trip to ARTastic, where we were able to enjoy lots of dramatic play. We were cooks, cashiers, shoppers, pirates, firefighters, performers, moms and dads, veterinarians, and musicians. We will finish our habitats when we visit the tundra in December. After learning about all the animals that live there, we will work on our fine motor skills as we begin making holiday gifts. lots of things, from how to buy a ticket from a cashier, to how to bowl! 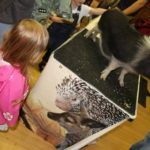 Wildlife Encounters Program. We learned a lot! 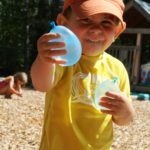 In August, we will head back to the bowling alley for more gross motor play! We will do lots of water play. We will play and have a picnic at Wagon Hill. 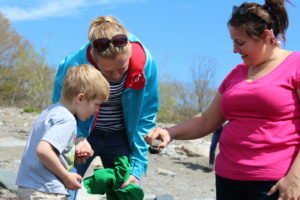 We will also head to the ocean to look for animals in the tide pools, and learn about sea creatures at the Seacoast Science Center and the Great Bay Discovery Center. The preschoolers had an awesome time on our field trip! 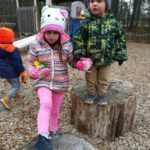 We played on the playground, looked for and learned about crabs and other sea creatures in the tide pools, explored the Seacoast Science Center, and had a picnic lunch. We lifted up rocks and searched keenly. 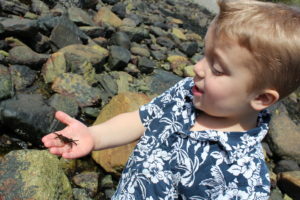 The kids loved holding the crabs and getting wet in the tide pools. It was nice that a lot of moms got to go too! cycles. We worked hard on painting our Mother’s Day gifts, and had fun playing with clay, making shrinky dinks, and melting beads into bowls. We also did a music and movement story time with Miss Judy which was a lot of fun! 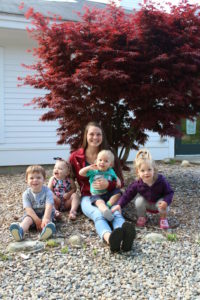 graduation and bbq to celebrate the preschoolers who are off to kindergarten. Congratulations to Griffin, Brynn, Leah, and Emma! We have new friends joining us for the summer. 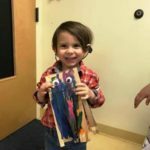 Some exciting field trips we have planned include story time at the SPCA, Wildlife Encounters, Wagon Hill Farm, Big Fish Little Fish at the Seacoast Science Center, and a trip to the movie theatres! Happy 4th birthday to Colin and happy 3rd birthday to Ben! We are working on our summer program, including the schedule and field trips – please let us know if you are interested – we have some spots left for additional children. Miss Becca is working hard on our school yearbooks – please let us know if you would like to order one! In May, we will be looking into the life cycles of frogs and butterflies. The preschoolers will continue to draw in their nature journals as we go on our daily nature walks. We will keep checking the bog for frog eggs, then tadpoles. We will paint our Mother’s Day gifts. We will be learning about the parts of a plant, counting seeds, and begin planting. We will read about Cinco de Mayo and make maracas and ponchos. 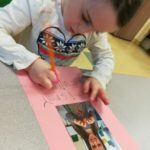 In February, we had lots of fun exploring our senses and dental health, as well as focusing on friendship through Valentine’s Day, and learning Dr. Seuss-style! We also had to say goodbye to Miss Amy (who will miss us very much), and hello to Miss Shelby, who will be an interim teacher. Congratulations to Griffin and Emma for reaching 100 books read! Congratulations to Idelle for reaching 500 books, and Brynn for reaching 200 books! Happy Birthday to Brynn and Leah, who are both turning 5 in February! The preschoolers have been working hard and playing hard! In January we learned about penguins, dinosaurs, transportation, and Chinese New Year. 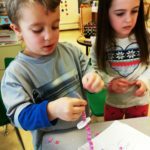 We painted penguins, made dinosaurs out of shapes, made trains out of the letters in our names, and created our own dragon lanterns for Chinese New Year. We learned about the parts of a book, practiced new letters, and played in the snow. We made shrinky-dinks with Miss Judy, and made cats with Miss Scotty at the library. We also played in the snow. February will be filled with fun. We will start off with S is for Space. We will read about the planets, the sun, the moon, and Earth. 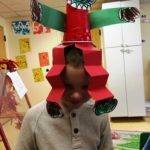 We will make solar system hats. We will discover why there are craters on the moon. The kids will enjoy “gravity painting” and making space books. The kids will put together rocket ships using the letters in their names. 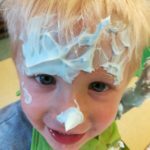 You may not see the preschoolers in their classroom during Cooking Week. After they finish making their chef hats, they will be busy in the kitchen learning about measuring, baking, and cooking. We will be making banana bread, pizza, and ice cream. After learning a little about measuring in the kitchen, we will go back to the classroom and even outside to measure other things, using rulers, cubes, measuring cups, and scales. We will measure lengths, heights, and weights. We will even measure ourselves! During Valentine’s Week, we will practice the letter “V”. We will read about friendships and loving families. We will make animals out of hearts. Paper trees will be made from tracing our hands on paper, cutting them out, and making 3d hearts for the leaves. 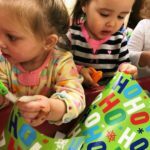 January saw growth in the size of our program, and we have now split into separate Infant and Toddler classes. February is a time for exploration! Both classes will explore the themes of Dental Health, Valentines Day/Friendship, the Senses, and Dr. Seuss. 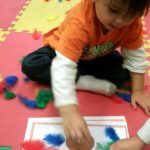 The Toddler class will engage in numerous multi-modal projects throughout the month; the Infants’ exploration will be primarily visual and tactile. Congratulations to Brynn, Colin, Leah, and Kaleb for reaching 100 books! Congratulations to Idelle for reaching 400 books! Mondays, did crafts with Miss Judy on Wednesdays, and enjoyed story time at the library on Thursdays. In January, our passports will first take us to Antarctica and the Galapagos to read about penguins. We will do a blubber science experiment, construct penguins out of shapes, play penguin games, and do some painting. dinosaur dig and making fossil cookies. construction vehicles, garbage trucks, air planes, and trains. Chinese art and music. We will read about the Lantern Festival and compare the Chinese version of Little Red Riding Hood to our own version. January will also be our transition to paperless parent-teacher contact. I am excited to take this step in helping the environment! We started our Bilingual Boogie dance class on Mondays! The toddlers and preschoolers are learning their Spanish colors and how count to ten in Spanish. We are singing in Spanish and have fun dancing! 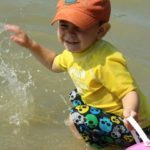 The preschoolers loved the ocean unit! We read so many books about whales, seahorses, starfish, dolphins, fish, and seals. We did an art project using watercolors, glue, and salt. We worked hard on our letters to create a class book imagining what kind of sea animal we would each be if we lived in the ocean. addition and made a class book about habitats. 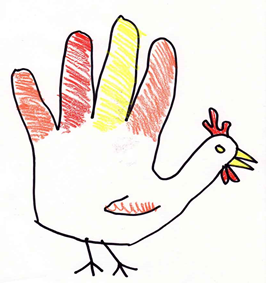 We traveled to the desert as well, and then finished up the month by doing some cooking and Thanksgiving crafts. We are finishing our exploration of habitats in December with the tundra biome. We will read about artic and Antarctic animals, and learn about the letter “T”. We will do artic animal yoga and make icy cold glittery snow paint. We will create an artic fox craft while learning about camouflage. We will do a unit on Hanukkah and a unit on Christmas. We will make holiday ornaments and dreidels. We will practice letter recognition with Christmas lights. We will do some STEAM projects, including picture frames out of popsicle sticks, Grinch slime, and crystal candy canes. 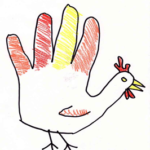 We will create art projects such as handprint menorahs and footprint trees. November has been full of fun, and especially food! We have been focusing on food groups and nutrition this month. Some of our favorite food books were Rah, Rah, Radishes! and Go, Go, Grapes! We also really enjoyed pajama day! 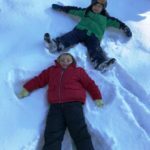 In December, we will learn about winter, talk a bit about travel (since that is common for families this time of year), and explore the winter holidays. Expect fun craft projects — we have some surprises in store! We had a great October, full of fun activities, indoors and out! We talked about dinosaurs, farm animals, pumpkins, and Halloween. Did you see the Hand-asaurus we each made?? We had SUCH a fun time on our field trip to Emery Farm, on the hay ride, through the corn maze, petting animals, and picking out pumpkins! November will be focused on the senses, especially taste. What better time of year?! We will center this exploration around nutrition. Be sure to check in for lots of fun books, projects, and explorations! 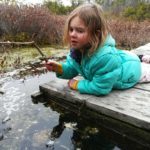 November is habitat month for preschool. After our recent trip to Emery Farm, we will begin to read more about farm animals, planting crop, and what farmers do. We will do a project on the life cycle of a chicken, enjoy farm dramatic play, do some farm yoga, and work on recognizing and writing the letter “F”. 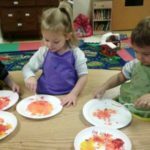 The next week is “O is for Ocean”, in which we will read about sea animals, make handprint and footprint art, make egg carton animal crafts, make an ocean in a bottle, make glow-in-the-dark jelly fish, and “adopt” a “pet” jellyfish. During Rainforest week, we will be practicing the letter “R”, learning about the layers of the rainforest, and animals of the rainforest. We will be painting chameleons, making snakes out of beads, making monkeys, and discovering how snakes molt. In our desert theme, we will “travel” to the desert to learn about cacti, sand dunes, and desert animals. We will create beautiful cactus silhouettes, our own mini sand dunes, mosaic lizards, and a desert sensory bin. We are kicking off the 2016-2017 school year with a great start! Our programs are almost at full capacity, and we are looking forward to learning and growing throughout the year. We are very excited to get to know all of our new children and families, and look forward to our many adventures that lie ahead. We are still looking for volunteers who would like to come in to do something fun with the children. Have a favorite craft, story, or activity that you would like to share with us? 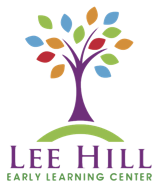 We welcome you to reach out to us at leehillcenter (at) comcast.net or call 603 659 3456 to set up a time that is convenient for you! Welcome to our new families, who have joined Lee Hill Early Learning Center and welcome back to our returning families. Our Infants and toddlers have been very busy this month getting to know our new friends and teachers. In September, we learned a lot about ourselves such as feelings, friends and family and our bones. In October, we will time travel as we learn about dinosaurs. As a part of our farm and pumpkin unit, on October 12th, we will be going on a field trip to Emery Farm for some fall fun and maybe a hayride. We look forward to all of our fall nature walks and some leaf painting. The preschoolers spent September learning about different families, the weather, the four seasons, and apples. 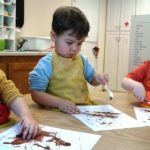 We worked on the letters A and W, enjoyed lots of painting and leaf rubbing, taste tested different apples, and discovered why apples turn brown. 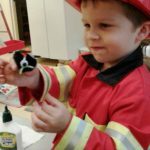 October brings learning about senses, fire safety, community helpers, and pumpkins for our preschoolers. We will be visiting the fire station, police station, and a farm. 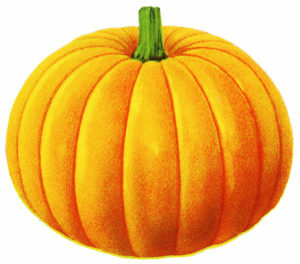 We will conduct science experiments and discover pumpkins inside and out. We will use dramatic play to learn about the different members of community, and conduct opinions on who we want to be when we grow up. It is that time of year again! “Back to School” is here at Lee Hill Early Learning Center, and we are looking forward to a wonderful start to the year. 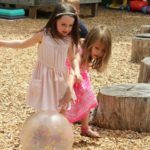 The summer has been filled with field trips and many learning adventures, and September brings us a chance to welcome new families, and returning families alike! September is the start of our third year in business. We started out with 5 children enrolled three years ago, and we are happy to announce that we have almost 5 times as many children, with 23 enrolled! Our maximum capacity is 24, so we are very close to being full! We were sad to see our older friends leave us to go onto kindergarten, but we have had the pleasure of welcoming 16 new families for the start of this school year. That makes us so happy to see the program grow from one class, to 5 different programs! Speaking of welcoming new friends; we are pleased to announce that our program has expanded enough to need additional teachers. We are happy to welcome Ms. Amy, our toddler teacher, and Ms. Sara, our part time afternoon teacher. We are looking forward to getting to know them as they start their journey with Lee Hill, and to learn of all of their wonderful thoughts and ideas they want to share with us. 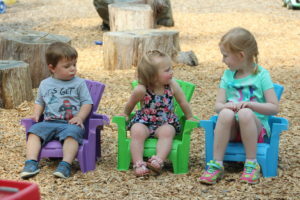 We have one full time opening (Monday through Friday from 8:30am until 3:00pm) for a new friend in either our infant, toddler, or preschool classroom (6 weeks through 5 years), should you know anyone who might be looking! Have them call us at 603 659 3456. 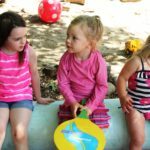 LHELC is licensed to care for children ages 6 weeks through 12 years of age through our infant, toddler, preschool, and school age programs. 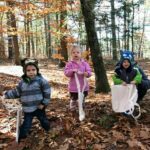 LHELC was featured in NH Parenting Magazine. We encourage you to check out this great resource for parents.